Equalizers are one of the most important tools to the recording engineer. They enable the mix to be shaped and sculpted. Equalizers are also often misused and misunderstood. Our video guides will help you understand how to use equalizers in a very powerful way. To the professional recording engineer, the equalizer can make or break a recording. Knowing how to correctly equalize a mix can make the difference between a processional sounding recording and a demo. 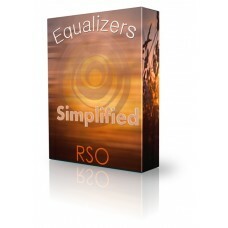 Equalizers are one of the most important tools to the recording engineer.T..